I had some trepidation in starting to read this book as it is a fairly weighty tome at just under 600 pages. However, it quickly became apparent that the Author/Editor David Evans has deftly married the recollections and considered opinions of former WWII Imperial Japanese Navy (IJN) officers into a very readable and well-structured narrative of the IJN's engagements throughout the war. Each of the book's seventeen chapters cover a major battle or is an analysis of Japanese naval doctrine. Each chapter opens with the briefest of summaries of the historical situation as it was at the time before the vast majority of the chapter is dedicated to an eye-witness account of those events. In reading every single account I was constantly struck with how erudite and thoughtful each author was, and it did make me wonder how much we have either lost or gained in translation. Most of the accounts are from very senior IJN officers and their education and insight is evident. As I discovered after finishing the book, many of these accounts have been published elsewhere and can be considered, if not the pinnacle, then some of the very best naval writing about the exploits of the IJN in WWII. This book then is an anthology of some of the very best essays on the IJN during WWII. One chapter, regarding the sinking of the Battleship Yamato, is truly excellent. In it, the author recounts his experience serving as a junior radar officer at the time of her last battle off of Kyushu. I made a note to remark in this review that the author, Yoshida Mitsuru could have written books for a living. This book's editor has included a postscript that summarises each contributor's life after the war. It turns out that aside from having a successful career with the Bank of Japan, Mitsuru-San also wrote several books on naval subjects. The account in this book is an abridgement from his book, "The End of the Battleship Yamato - Senkan Yamato No Saigo"; which is now considered a classic amongst Japanese books on WWII. I found many of the chapters quite moving, which I think is quite a rare thing for a military history book. However, in these chapters, we have insights into sailors and men, in desperate situations fighting for their very existence. I was particularly moved by the Chapter "The Kamikaze Attack Corps", in which we read the very first flight leader on a kamikaze attack was to be a Lieutenant Seki, a recently married and skillful pilot. I think this book does a good job at dispelling some of my preconceived ideas about the Japanese during WWII. 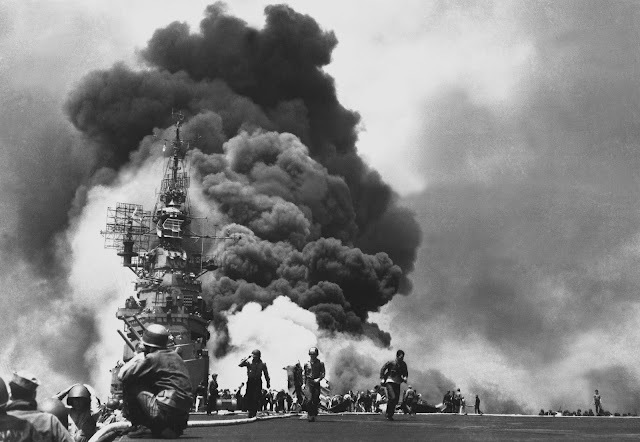 I have always assumed that kamikaze attacks were an ever-present threat to US Forces that could potentially sink the largest of battleships and carriers. 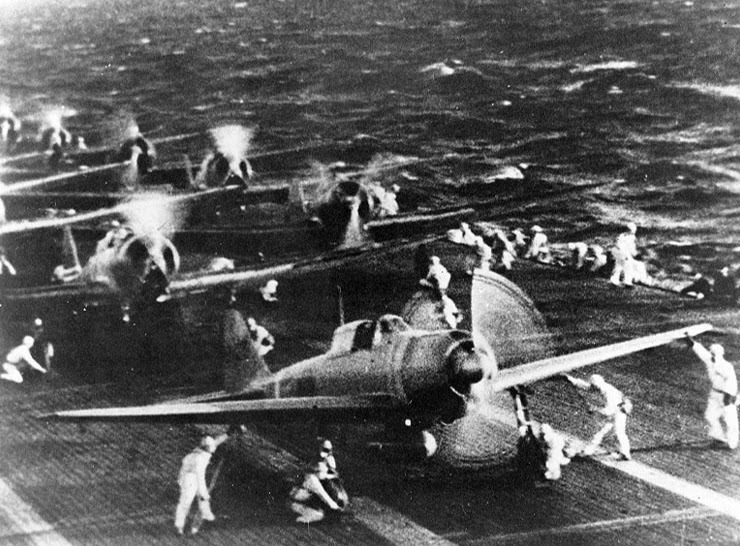 The reality is that kamikaze attacks started in the last few months of the war and their efficacy was dubious at best. The book cites the total number of suicide missions flown compared to the destruction wreaked on US Forces and it is not a favourable comparison. "The battle for Okinawa proved conclusively the defects of suicide air attacks. Such operations cannot be successful ... It would have been far wiser for the sadly depleted Japanese military to have conserved its manpower instead of squandering it as was done." "... 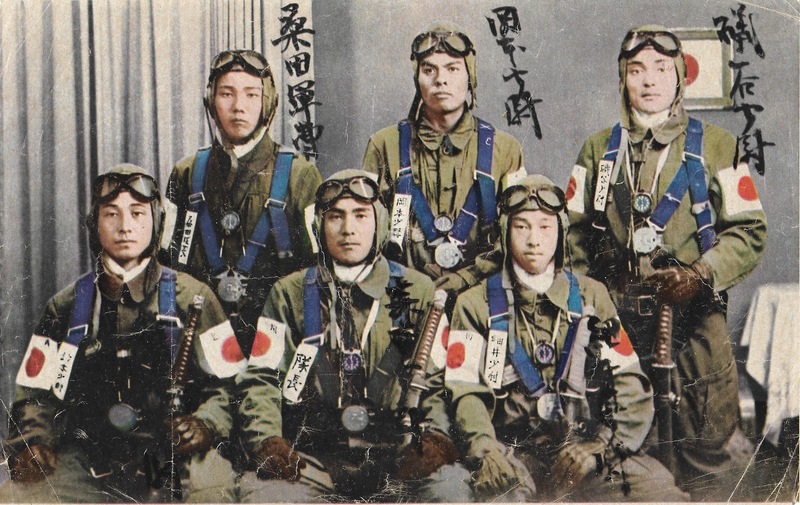 It was a real scourge of Japan's military forces that permitted human life to be treated so lightly through a misinterpretation of the true spirit of Bushido ... Japan's suicide air operations mark the Pacific War with two scars that will remain forever in the annals of battle: one, of shame at the mistaken way of command; the other, of valor [sic] at the self-sacrificing spirit of young men who died for their beloved country." A recurring theme throughout most of the accounts is that the Japanese Navy, throughout the war, was attempting to engage the US Navy in a big decisive fleet battle. This battle never materialised. This may have been a reasonable aspiration early in the war, but as their resources dwindled, they still desperately clung onto the ‘big decisive fleet battle’ doctrine. All contributors who comment on this admit that many mistakes were made by the Japanese military leadership; primarily the inflexibility of their strategic thinking i.e. not being able to move away from their desired decisive battle. I would also include, probably their most egregious error of all, attacking America in the first place. Apparently, no more than 20% of US naval power was ever engaged in the Pacific, which puts into perspective just how futile Japanese efforts were to be in a prolonged naval campaign, in which nearly all of their resources were dedicated to Pacific operations. Pearl Harbor is the very manifestation of the big attack doctrine, and unfortunately for the Japanese, the American carrier fleet was not in port at the time of the attack. If the Japanese had managed to engage the Americans in a major fleet battle at the outset of the war, their hope to dominate the rest of the Pacific may have had a slight chance. Instead, it is my opinion that despite the valiant and courageous efforts of the Japanese sailors and airmen, their inter-service rivalry and lack of coherent command and control, albeit exacerbated by American attacks, left them little to no chance of victory. 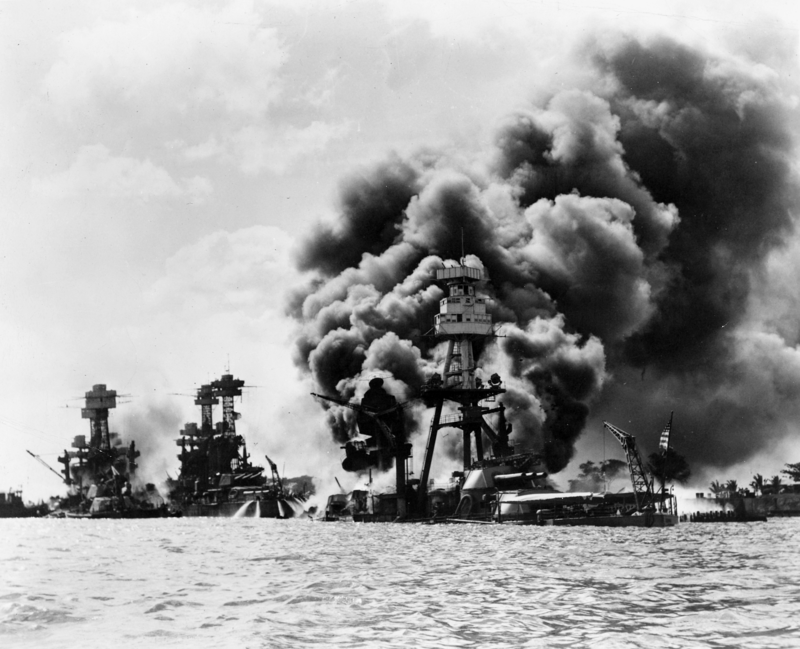 Every major naval battle in the Pacific Theatre is included, Philippines, Midway, Guadalcanal, Leyte Gulf, Okinawa and the book predictably starts with the attack on Pearl Harbor. I have read several books on most of these battles and even visited Pearl Harbor and Ford Island. I think I have a good grasp on the events themselves. 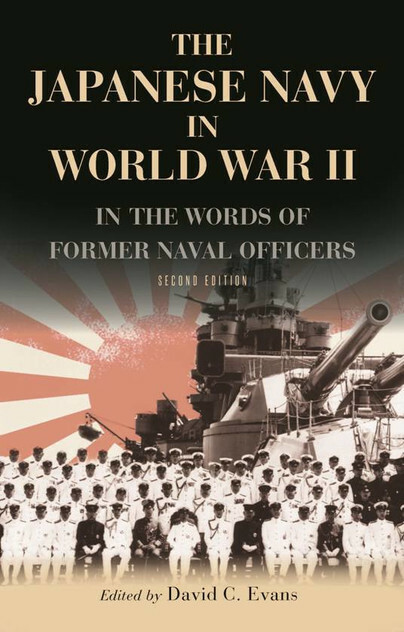 However, this book and the perspective of the IJN Officers has increased my appreciation for all those involved, particularly the tenacity and dedication of the Japanese Navy and the skill and professionalism of the US Forces. It has also given me a new perspective on the human tragedy of large naval engagements. In short, this book has done more to educate, inform and engage me than any other book I have read about the PTO and if you're at all interested in the Pacific Theatre of WWII then I would consider it essential reading. This book is available from Pen & Sword Publishing and is currently on sale at £15.99. (RRP £19.99) - Sep 2017. It is interesting that both the USN & IJN were fixated on the chimera of a decisive naval battle.That occurred,sort of,at Leyte Gulf. Thanks for the comment Reg, this book doesn't focus on anything but the Japanese Navy and so it never mentioned the American Navy's fixation on the 'big decisive battle'. I find it interesting that for nearly 4 years two military powers, that both professed a desire to have a big decisive battle failed to make it happen. 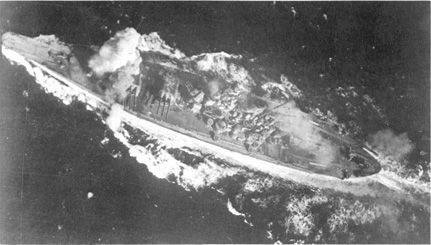 Although you're absolutley right that Leyte Gulf qualifies for a 'big' battle it wasn't as decisive as was hoped for.